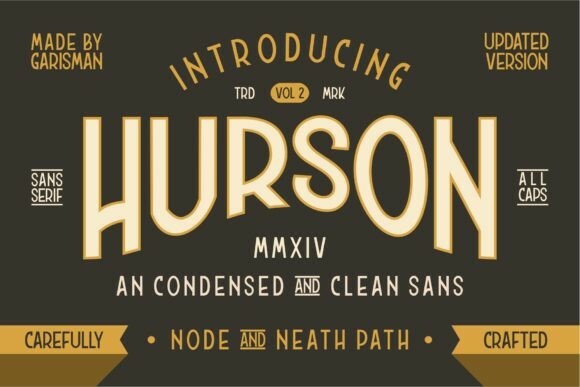 Hurson Font This clean version of the Hurson has a vintage, classic, handmade look. It can be used for branding materials, t-shirts, prints, business cards, logos, posters, t-shirts, photography, quotes, and much more! This items is Free File of the week! And available free until April 1, 2019! Create your account on Creative Fabrica website first and download this items.